A-AAA Auto Transport, LLC. is a very experienced auto transport company that is licensed and insured. They offer excellent customer service and support during your car shipment and even offer multilingual communication to ensure anyone using their car transport service can get their questions answered. A-AAA Auto Transport customers are among the most satisfied in the industry. 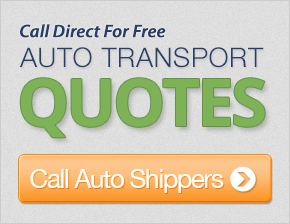 Car shipping discounts available in certain situations. Ask for details. I was extremely happy with the delivery of my car because it was delivered 2 days earlier than expected. The gentlemen that picked up and delivered my car was very nice and professional. I will definitely refer this company to my family and friends! You were very helpful in making me feel confident about choosing your car shipment company. My car was shipped to me earlier than expected - a pleasant surprise of course - and was in just the same condition as it was when I saw it off from Texas. I will definitely be using this service again the next time I need a car shipped and will recommend it to friends and family. Thank you! My car was picked up a day earlier than expected. I was very impressed with the car shipping services. Your employees were very helpful. Overall the customer service was excellent! Very professional and a very good car transport company. I will definitely use your service or refer you to friends when needed in the future. Thank you again for you professionalism! You guys provided professional and courteous service and was available to answer any questions. Everything was handled most professionally and expediently. We will definitely use your company again! Everything was good. The driver who delivered my car was really great! You company was very easy to deal with. Thanks again! Sales rep did a goog job. Very informed and attentive. Your customer service representative was very helpful and personable. Thanks. Courteous informative timely and responsive. Customer service was responsive, resourceful and accomodating. The trasport driver was courteous, prompt and timely. The person I talked to was excellent - very helpful and courteous. Great service - I would definitely use this company again. I am extremely satisfied with this service. I cannot believe how reasonable and efficient this move went. The car was picked up and delivered as promised. Thank you. The agent did a good job. She had told me that the time frame would be longer than usual because of the busy time of the year (Florida to Michigan shipments). I was fine with that. The car arrived a day early so that was appreciated. Excellent job. Great customer service. Would highly recommend for car shipping. Everyone I worked with was very helpful. Everything went wonderful - a very good experience. Many thanks! Simply perfect! I would use you guys again. Thanks. My vehicle was actually delivered in resonable time.